Pages in category "20th-century English male actors"
The following 200 pages are in this category, out of approximately 1,936 total. This list may not reflect recent changes (learn more). 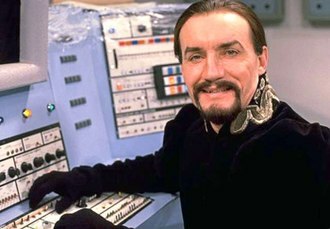 Anthony Ainley was an English actor best known for his work on British television and particularly for his role as the Master in Doctor Who. He was the actor to play the role of the Master. The birth certificates of Anthony and his brother Timothy identify their mother as Clarice Holmes, although no father is named on the birth certificates Timothys marriage certificate identifies Henry Ainley as his father. Under the name of Anthony Holmes, Ainley attended Cranleigh School from 1947-50 and his first job was as an insurance clerk which was followed by a period at RADA. His half-brother, Richard Ainley, was an actor, ainleys swarthy appearance tended to get him parts as villains, though an early regular role on British television was as Det. Sgt Hunter, sidekick to William Mervyns Chief Inspector Rose in the series of Its Dark Outside in 1966. Other notable roles include a subaltern in the 1969 film version of Oh, emilius in the BBCs adaptation of The Pallisers, Johnson in the first episode of the BBC programme Secret Army, and Sunley in The Avengers episode Noon Doomsday. He was one of the Hong Kong policemen who discover James Bonds supposed corpse in the sequence of You Only Live Twice. Ainley played the role of the young peer Lord Charles Gilmour in the ITV series Upstairs, Downstairs. He reprised the role for the 1997 BBC computer game Destiny of the Doctors, ainleys great love of the role is often cited in documentaries and DVD commentaries. Script Editor Eric Saward claimed that he introduced himself over the phone by saying This is the Master, in the commentary and documentary for The Mark of the Rani, both Colin Baker and Kate OMara say that He only ever wanted to play the Master. Colin Baker remarked that he could afford this luxury because he had built up an income by the mid-1980s and had inherited a considerable sum of money from his father. Ainley remained unmarried throughout his life and he joked on the DVD commentary for The Keeper of Traken that he didnt like the three rings of marriage, the engagement ring, the wedding ring and the bickering. Robert Alastair Addie was an English actor who was best known for playing Sir Guy of Gisbourne in the television series Robin of Sherwood. Addie was educated at Marlborough College, leaving at 16 to join the National Youth Theatre and he left there in 1975 to study at the Royal Academy of Dramatic Art, which, in turn, he left in 1980, to appear in John Boorman’s film Excalibur as Mordred. In 1989 Robert left acting, but returned to his career in 1995 both on the stage with Exiled Theatre and in film and television. Addies most acclaimed role was as Sir Guy of Gisbourne in the 1980s series Robin of Sherwood, under Williamss tutelage, Addie became an accomplished horseman and polo player. Addie spent time in Argentina, again with Williams and his familys house in Sapperton in the Cotswolds, near Cirencester meant that he was involved in polo every day through the season through much of the 1970s and early 1980s. He was a horseman and accomplished swordsman and former competitive archer. Addie was married and divorced three times and he had three children, Alexander and Caitlin. Arthur Bowden Askey, CBE was an English comedian and actor. Askeys humour owed much to the playfulness of the characters he portrayed, his improvisation, and his use of catchphrases, I thank you, and Before your very eyes. Six months after his birth the family moved to 90 Rosslyn Street, Askey was educated at St. Michaels Council School and the Liverpool Institute for Boys. He was small in stature at 52, with a breezy, smiling personality and he served in the armed forces in World War I and performed in army entertainments. Band Waggon began as a variety show, but had been unsuccessful until Askey and his partner, Richard Murdoch, make mine a million last film was Rosie Dixon - Night Nurse, starring Debbie Ash. In the early 1930s Askey appeared on a form of BBC television—the spinning disc invented by John Logie Baird that scanned vertically and had only thirty lines. Askey had to be made up for his face to be recognisable at such low resolution. When television became electronic, with 405 horizontal lines, Askey was a performer in variety shows. When television returned after World War II, he made the transition well and his first TV series was Before Your Very Eyes. named after his catchphrase. On 3 May 1956 Askey presented Meet The People, a launch programme for Granada Television. In 1957 writers Sid Colin and Talbot Rothwell revived the Band Waggon format for Living It Up and he appeared on the comedy panel game Jokers Wild. He made many TV appearances in variety, not least BBC TVs long running show, during the 1950s and 60s, he appeared in many sitcoms, including Love and Kisses, Arthurs Treasured Volumes and The Arthur Askey Show. He appeared in the popular West End musical Follow the Girls and he made many stage appearances as a pantomime dame. His recording career included The Bee Song, which was a part of his stage and television act for many years, The Thing-Ummy Bob and his theme tune. In 1941 a song he intended to record, Its Really Nice to See You Mr Hess, was banned by the War Office, a collection of Askeys wartime recordings appear on the CD album Band Waggon/Big Hearted Arthur Goes To War. Alan Alun Armstrong is an English actor. Armstrong grew up in County Durham in North East England and he first became interested in acting through Shakespeare productions at his grammar school. Since his career began in the early 1970s, he has played, in his words, I always play very colourful characters, often a bit crazy, psychotic. His numerous credits include several different Charles Dickens adaptations and the eccentric ex-detective Brian Lane in New Tricks, Armstrong is an accomplished stage actor who spent nine years with the Royal Shakespeare Company. He originated the role of Thénardier in the London production of Les Misérables, born Alan Armstrong in Annfield Plain, County Durham, his father was a coal miner and both his parents were Methodist lay preachers. He attended Annfield Plain Junior School and went on to Consett Grammar School, in the lower sixth, he played Petruchio in The Taming of the Shrew – a role he would perform with the Royal Shakespeare Company. 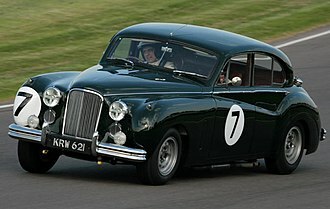 He took part in the National Youth Theatre summer school in 1964, Armstrong auditioned for RADA but was not accepted. He instead studied fine art at Newcastle University and he found the course pretentious and felt that he did not fit in, and he was expelled after two years because he stopped attending classes. Armstrong had jobs with a bricklayer and as a gravedigger before he decided to try acting again and he started out by working as an assistant stage manager at the Cambridge Arts Theatre. He went on to a Theatre in Education company affiliated with the Sheffield Repertory Theatre, Armstrong made his screen debut in the film Get Carter. He wrote a letter to MGM, the making the film, upon learning that they were making the film in Newcastle and was invited to meet director Mike Hodges. Armstrong has appeared in a number of films, although in this medium he has played supporting roles. In A Bridge Too Far, he had a role as one of the British troops at the Battle of Arnhem. He had a role as the bandit leader Torquil in the 1983 fantasy film Krull. In Patriot Games, Armstrong played an SO-13 officer, in Braveheart, he played the Scottish noble Mornay who betrayed William Wallace. Richard Crispin Armitage is an English film, television and voice actor. 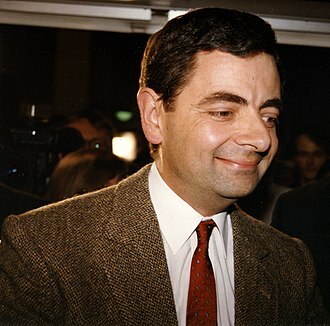 He received notice in the UK with his first leading role as John Thornton in the British television programme North & South, but it was his role as dwarf prince and leader Thorin Oakenshield in Peter Jacksons film trilogy adaptation of The Hobbit that first brought him international recognition. After graduating from the London Academy of Music and Dramatic Art and he turned to film and television roles when he noticed that leading stage roles went to actors with name recognition who could bring in patrons to fill venues. After twelve years away and having earned that recognition, Armitage returned to the stage in 2014 taking his first leading role in a major production. 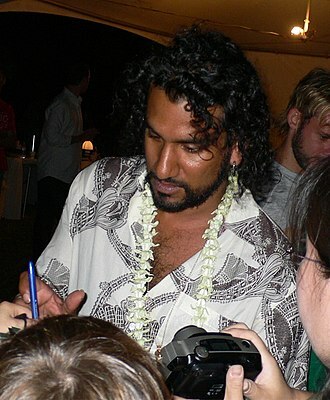 He played John Proctor in the successful and critically acclaimed production of The Crucible at The Old Vic. 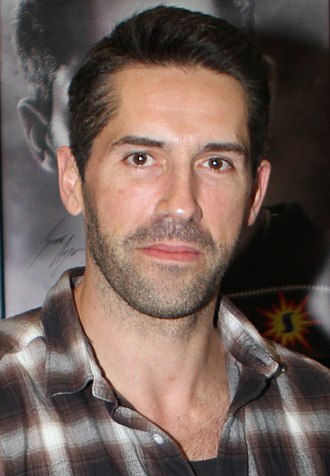 One of Armitages trademarks is his voice, which he has employed as a voice actor since 2006. While working on the TV series Robin Hood, he was asked to record audiobooks for the first season of that series, since then, Armitage has recorded many notable audiobooks and has worked as a narrator on many TV and radio shows and adverts. Armitage was born in Leicester, the son of Margaret, a secretary, and John Armitage. Richard has a brother named Chris. He attended Huncote Community Primary School in Huncote, Blaby District and began school at the local comprehensive school. At Brockington, Armitage pursued his interest in music - playing the cello in school and local orchestras, Armitage was pursuing acting in dramatic theatre productions, including The Real Thing, Six Degrees of Separation and Death of a Salesman. By 1992, he began to doubt if musical theatre was the career path. I needed to do something a bit more truthful than musical theatre, for me it was a bit too theatrical and all about standing on stage and showing off. I was looking for something else, so that’s why I went back to drama school, in 2002 he starred in the Charm Offensives production of Use Me As Your Cardigan. That same year Armitage appeared in his first major television role and it was the first time I went to an audition in character. It was a role but it was something I really got my teeth into. Brian Aherne was an English actor of both stage and screen, who found success in Hollywood. He was born William Brian de Lacy Aherne in Kings Norton, educated at Edgbaston, Birmingham, he carried out some early stage training at Italia Conti Academy in London and had some child roles before completing his education at Malvern College. He toured with Violet Vanbrugh as Hugo in The Flame, in 1926 he accompanied Dion Boucicault, Jr. to Australia, where he appeared in several plays by J. M. another comedy by Frederick Lonsdale. Aherne reappeared in London at the Strand in March 1927, again as Langford in White Cargo, and continued on the London stage in a succession of plays until late 1930 when he went to America. He made his first appearance on the New York stage at the Empire Theatre on 9 February 1931, miss Cornell and Aherne remained lifelong friends and he played in many of her subsequent productions. He was back in London in 1934 but returned that year to New York and he continued his stage appearances during his film career, which he commenced in 1924 in silent film. Ahernes first screen appearance was in the crime film The Eleventh Commandment in 1924 and he made several appearances in productions at Cricklewood Studios by Stoll Pictures, the largest British film company, including two directed by Sinclair Hill. His final silents were two films Shooting Stars and Underground by the rising director Anthony Asquith, Aherne made his talkie debut in The W Plan. Aherne appeared in many TV theatrical series, including General Electric Theater, The Twilight Zone, in the episode The Trouble with Templeton and he appeared as guest host on the TV panel show The Names the Same. Aherne co-starred in the Florence Nightingale episode of Theatre Guild on the Air 13 April 1952, in 1945, he played sleuth Simon Templar in the mystery series, The Saint. Aherne published his autobiography A Proper Job in 1969, as well as A Dreadful Man, between 1939 and 1945, Aherne was married to actress Joan Fontaine, which ended in divorce. He married Eleanor de Liagre Labrot and he was the younger brother of actor Pat Aherne. Sir George Alexander, born George Alexander Gibb Samson, was an English stage actor, theatre producer and theatre manager. Alexander was born in Reading, Berkshire and he began acting in amateur theatricals in 1875. Four years he embarked on an acting career, making his London debut in 1881. He played many roles in the companies, including Sir Henry Irvings Lyceum Theatre. He appeared in The Second Mrs Tanqueray by Sir Arthur Wing Pinero in which he played Aubrey Tanqueray, one of the most famous first nights in Victorian theatre occurred on 14 February 1895 when The Importance of Being Earnest by Oscar Wilde hit the stage. The Prince of Wales was in attendance, and a dozen policemen could be seen patrolling the streets outside. A tip-off had warned both the author and the actor/manager that Lord Alfred Douglass father, the Marquess of Queensberry was hoping to get into the theatre and create havoc during the play. Fortunately the Marquess was ushered from the premises and in disgust threw his grotesque bouquet of vegetables that he was carrying into the gutter, Queensberry set into motion the events that led to Wildes downfall and disgrace. Upon his release from prison in 1897, Wilde moved to the continent, Wilde still felt indebted to Alexander as a result of his artistic integrity in producing two of Wildes plays so successfully. How absurd and mean of him. I know it was dictated by sheer kindness, Alexander willed the rights of the plays to Wildes son, Vyvyan. Under Alexander, the St Jamess Theatre was said to be modern in outlook, the imaginative fancy of Mr. Walter Crane had created designs for the decoration of the walls in the foyer. They were covered with embossed paper of green and gold, on the one side a curiously carved mantelpiece in walnut, was surmounted by a picture of Venus emerging from a shell, painted by Mr. J. Macbeth. While on the side sat the ticket box, having all the appearance of an elegant cabinet, with antique clock and choice blue. On the floor were spread rich and costly rugs and Indian carpets, a flight of stairs made of Siena marble, covered with Indian carpet, and having brass standards on either side of the banisters, conducted one to the crush-room. Harry Fleetwood Andrews, CBE was a British actor known for his film portrayals of tough military officers. He made his debut in The Red Beret in 1953. Andrews made his London theatre debut in 1935 at the St Jamess Theatre, Harry Andrews was born on 10 November 1911, in Tonbridge, Kent. He was the son of Henry Arthur Andrews, a General Practitioner, Andrews attended Yardley Court School in Tonbridge, and Wrekin College in Wellington, Shropshire. From October 1939 to October 1945, Andrews served with the Royal Artillery during the Second World War, Andrews died at the age of 77 on 6 March 1989, at his home in Salehurst, leaving behind his long-term friend and partner Basil Hoskins. Andrews made his first stage appearance in September 1933 at the Liverpool Playhouse playing John in The Long Christmas Dinner and he made his London debut in March 1935 at the St Jamess Theatre playing the role of John in Worse Things Happen at Sea. In March 1936 he starred alongside Paul Robeson, Orlando Martins, james at the Westminster Theatre in London. In October 1936, Andrews made his first appearance in New York playing the role of Horatio in Hamlet at the Empire Theatre. From September 1937 to April 1938, Andrews worked with John Gielguds company at the Queens Theatre, appearing in shows as Richard II, The School for Scandal. In 1939, Andrews assumed the role of Laertes in a production of Hamlet at the Lyceum Theatre and this was the final production at the Lyceum before it closed, though it was restored in 1996. The company toured to New York City in the summer of 1946, upon returning to Britain in September 1946, Andrews continued performing with the Old Vic company through the end of the 1948–1949 season. In 1949, Andrews joined the company at the Shakespeare Memorial Theatre in Stratford-upon-Avon, in which he performed in such Shakespearean roles as Macduff, Don Pedro, Andrews toured with the company through Australia in 1949. He continued to perform with the company in Stratford-upon-Avon through the 1951 season and he travelled to New York with the company of Laurence Olivier, performing in such plays as Caesar and Cleopatra and Antony and Cleopatra at the Ziegfeld Theatre.